"Just a little bit about Automox"
I like that I can setup patching schedules per grouping of machine. For example, we have our clients split up based off of the type of machine, then we patch the machines on different schedules. I dislike that I can't simply pick the days of given months for patching. I have to choose by the month and week. But, for instance, If I want to patch every 4th week of every month, if there is a day that is on it's 4th iteration that month, but not a part of the 4th full week of that month, the patching starts earlier than expected, so you have to setup a second patch schedule to handle split weeks. 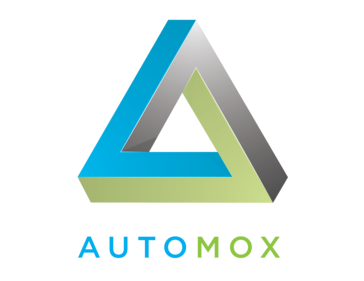 We are utilizing Automox to handle monthly patching for OS updates and third party applications via patching schedules. We also have a schedule set that installs important patches daily if needed, but without forcing a restart. The downfall of doing that is if you install important patches without requiring reboot, then most clients don't get restarted until it's time for monthly patching. "One of the best patch management tools out on the market"
Dashboard one for all to administer every customer's pc in one place. This thing does it all and also produces very handy reports that i can easily give to one of my customers. This thing is a lifesaver and also covers my rear by patching security loop holes that might not get patched. The customer service is good however it is hard to understand them sometimes and also the wait times have been long before. The waiting for the tickets responses has also seemed sometimes to lag but they do appear to be getting better. Spend a little time getting it setup and get reports right and it will same you a ton of time and headaches down the road. It is making my medical customers stay Hipaa compliant by patching them and securing the pc as well as all my other customers making all of them up to date without me having to manage every single pc. Plus the reporting rocks!! "Loving Automox - the best BYOD - Mac/PC patching platform available"
User interface is easy. Install and management is a piece of cake. But the best, by far, is the ability to patch BYOD workstations in a manner that staff find agreeable. Really nothing. I would like improved ability to message end-users to let them know via Automox that we need them to restart their machine. Improved ability to label machines during install or set up individualized deployment links, but these are relatively minor quibbles. Patching BYOD workstations and Macs. Automox is the ONLY solution I have found that provides a non-intrusive and secure method of patching BYOD workstations as well as handling Macs and PCs and third-party software. The challenge of patching BYOD is that people are (reasonably) reluctant to allow a company to install RMM software on their personal workstation. With Automox, I can communicate to staff exactly what we see on their workstation when we install Automox and assure them we do NOT have remote control capability or other privacy intrusion, but yet I can still push out patches and see patch status. This is INVALUABLE! * We monitor all Automox reviews to prevent fraudulent reviews and keep review quality high. We do not post reviews by company employees or direct competitors. Validated reviews require the user to submit a screenshot of the product containing their user ID, in order to verify a user is an actual user of the product. Hi there! Are you looking to implement a solution like Automox?